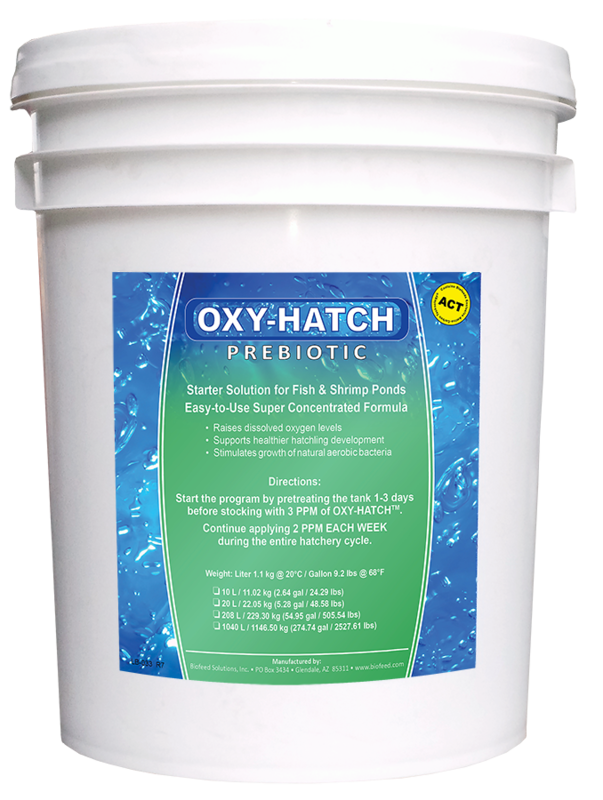 Biofeed OXY-LINE™ Aquaculture Products – Biofeed Solutions, Inc.
Increase Your Ponds’ Dissolved Oxygen Levels! INTRODUCING: Biofeed OXY-LINE™ with its powerful HDH enzyme system, which has proven to enzymatically INCREASE dissolved oxygen levels while reducing disease occurrence. Healthier Aerobic Water Systems Means Higher Yields and Profitability! You can supply your fish or shrimp with ALL the food and care they need! However, when your ponds lack sufficient OXYGEN they may become infected with anaerobic bacteria and ammonia which can suffocate your entire crop to the point of death. Anaerobic water conditions also leave behind sludge on the pond bottom that can harbor and support disease-causing smelly bacteria! Aquatic Scientists agree that the toxicity found in most ponds stems from a lack of oxygen. 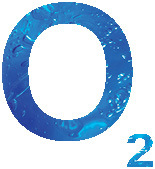 Ponds lacking adequate oxygen are known as anaerobic while ponds with adequate oxygen are referred to as aerobic. Bad odors and ammonia is the first indicator that the pond is anaerobic or sick. Therefore, many Aqua-farmers mechanically aerate their ponds, often 24 hours a day using pumps or paddles that stir air into the water… but this practice is very costly and may not fully solve the problem! Balancing both the quality and quantity of fish or shrimp in a pond may not always be easy. As the grow-out cycle continues water conditions may become toxic as ammonia and sludge levels rise and oxygen levels fall. This often leads to outbreaks of disease which can wipe out your entire crop of fish or shrimp in days! 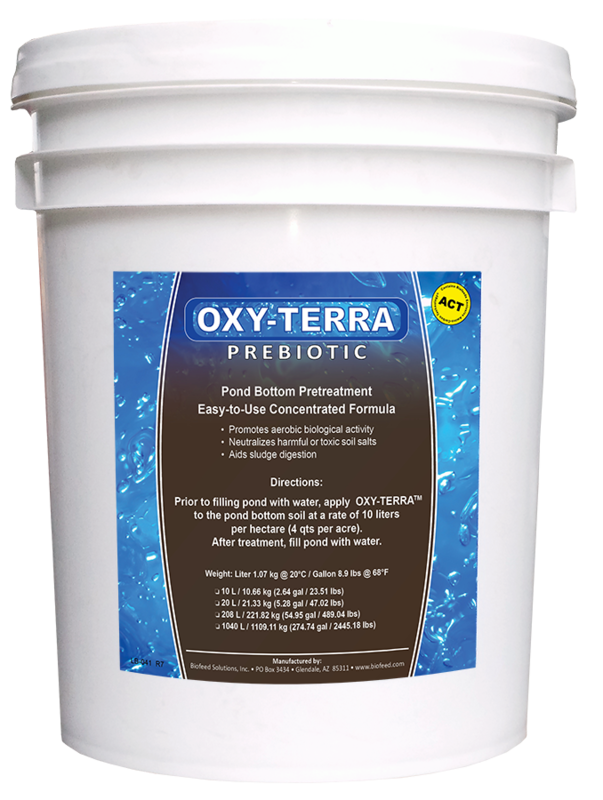 In your pond there are countless populations of bacteria at work trying to maintain a natural balance between sludge digestion, nitrogen cycling and oxygen levels. Both your fish or shrimp and the bacteria in your ponds require adequate dissolved oxygen to grow. When using Biofeed OXY-LINE™ products, oxygen levels rise and anaerobic conditions usually disappear within days, sludge begins to break-down faster and feed efficiency improves as overall water quality improves. Also your ponds biological activity will begin to become more conducive to fish and shrimp health. Numerous university and field studies have proven the effectiveness of this product technology in a variety of ponds.